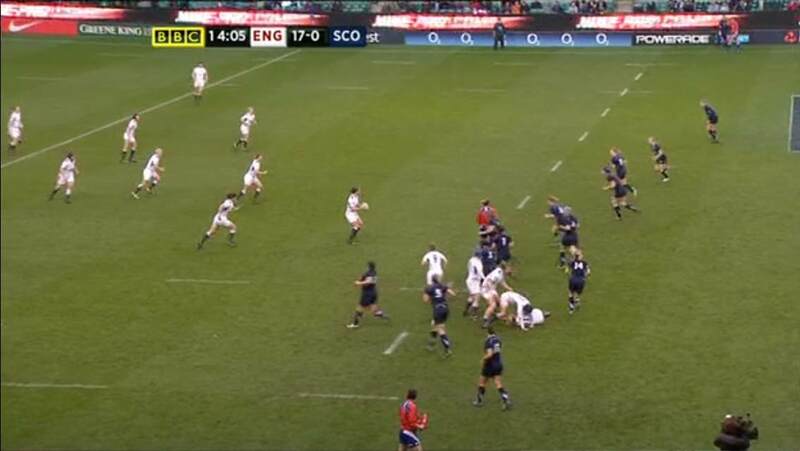 By looking at the following screen captures from the recent England v Scotland match, take the opportunity to assess what England’s options are and what their best course of action could be. 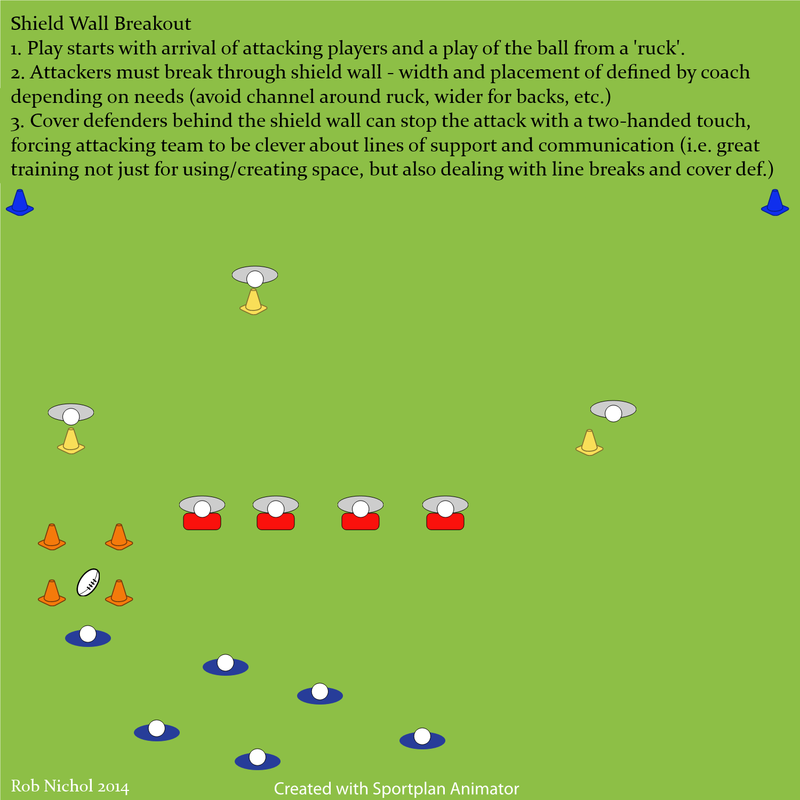 The ideal situation would see them make a clean break with support on either side, but in analysing options in attack one must also consider the likelihood of the defence shutting it down. Assuming a team will at least try, if not successfully, to defend well, then you must think ahead one or two phases to use them to manipulate the defence how you wish. Clean Break: What is the ideal, yet reasonable, “clean break” situation considering who we have in position and how the opposition is currently set up to defend? Pass From Contact: How will individual defenders react to this move BEFORE we reach the tackle line? What’s our pre-contact option (if available and logical) and can we keep the attack going by playing the ball from contact? Things to consider as opportunities: Lack of Defenders Present, Defender not square, Defensive Line not flat, Defenders on the back foot, Over-commitment of defenders to an individual, Space behind Defenders. Things to consider as threats: Defenders in abundance and ready to rush forward, Defensive patience and ability, Lack of personnel on our part to challenge the defence. 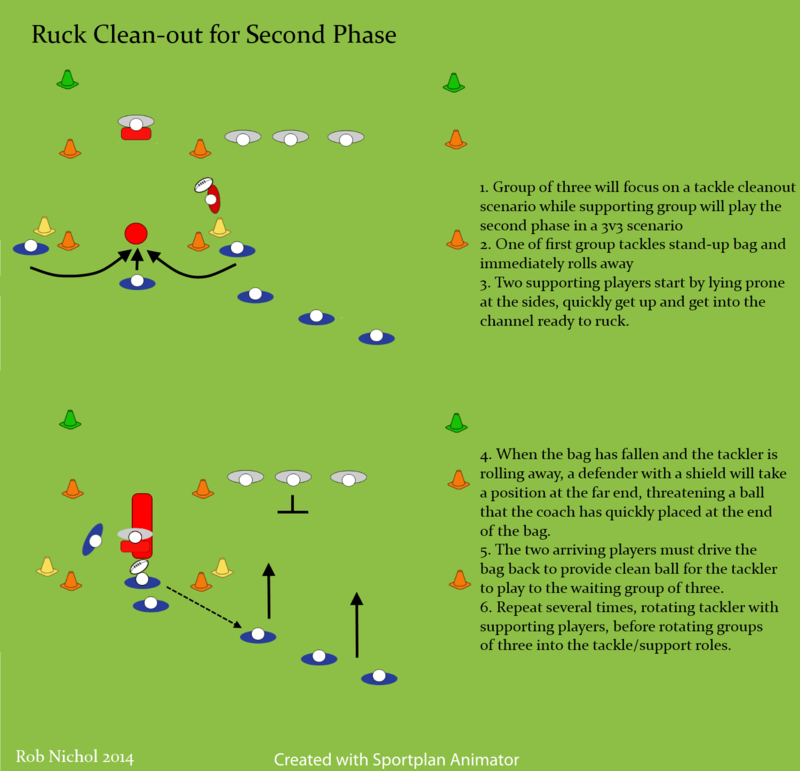 The purpose of this exercise to to get players thinking about how they would use their abilities, the abilities of their team mates, and the things we are good at to successfully attack a variety of defensive arrangements. We often do this at training for those more kinaesthetically inclined, but for those who are more visual / analytical, this is the sort of exercise that will get them thinking about attacking opportunities before they step on the pitch. The hope is that at least some will become accustomed to defensive sets – both good and poor – and use logic and self-knowledge to speed decision making when faced with them in games.